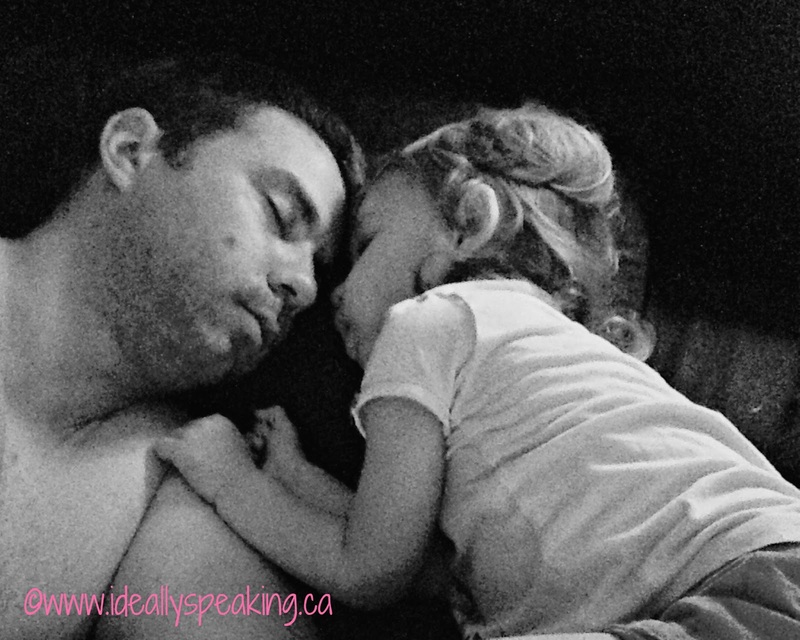 #WordlessWednesday with linky: Daddy’s Girl Always. I have blogged many times about the relationship between my husband and our little girl. I know she loves her Mama, but this little lady is a Daddy’s Girl through and through. This was taken around 6:30 am, after the little monkey had crawled into bed with us around 5. This is how I woke to find them. That is so very sweet! Awe!! Aww! that is adorable heheh! Just gorgeous! Happy WW, hope you are having a great week. Awww, that is too cute! Wonderful shot! Thanks a lot for hosting. Totally awesome…I really miss those days! This is such a sweet picture!! Thanks for hosting a great party. Please stop by and share on our Brag About It Tuesday Party. Have a great day! too cute! love it. I’ve been seeing a ton of sleeping kids this week on WW, must be a theme! Aww, what a sweet picture. So glad you joined me for Wordless Wednesday at The Jenny Evolution. Silence may be golden, but I hope you’re making some noise this week.